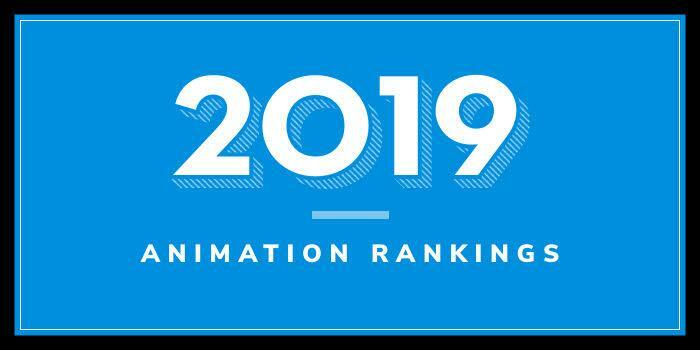 Our 2019 rankings of the top animation programs in the Midwest. We define the Midwest as Ohio, Michigan, Indiana, Illinois, Idaho, Wisconsin, Minnesota, Iowa, Missouri, Kansas, Nebraska, South Dakota, and North Dakota. For an explanation of ranking criteria, click here. Established in 1870 as Ohio Agricultural and Mechanical College, The Ohio State University offers over 200 majors, minors and specializations from which more than 66,000 students can choose multiple paths to focus on animation in both the College of Arts and Sciences and the College of Engineering. Paths in animation encourage students to explore courses in 3D modeling, 2D/3D animation, video game production, augmented and virtual reality, digital imaging, digital video, interactive visualization, interactive art, game art and design, Art Games, motion capture, procedural content generation for games, real-time rendering, photogrammetry and more at both the undergraduate and graduate levels. Students in all programs can work on individually defined or team-based projects. Ohio University (OU) was established in 1804 as Ohio’s first university. The school serves 34,443 students (fall 2018) enrolled in more than 300 programs across 11 colleges. The E.W. Scripps College of Communications houses the School of Media Arts & Studies. Serving nearly 700 undergraduates, the School offers a BS in Communication with an Emphasis in Games & Animation. The program encourages students to explore the production of computer animation and digital games, while also providing an understanding of the management and leadership roles in these industries. Sample courses include 3D Modeling & Animation, Digital Game Design, Narrative Animation, Visual Storytelling, Screenwriting, Compositing, Motion Graphics, Video Game Design, Video Production, Game Development, Media Content Management, Sound for Moving Images, and Media Arts Management (FILM), to name a few. Missouri State University was founded in 1905 as the Fourth District Normal School. With a student population of nearly 25,000 students, Missouri State is the state's second largest university campus by enrollment. The school offers hundreds of programs through seven academic colleges and one Graduate College. The College of Arts and Letters houses the Art and Design Department, which offers a BFA in Art with a Computer Animation Track. Course highlights for the program include 2D Design, 3D Design, Drawing, Computer Animation I-V, Introduction to Digital Arts, and Digital Film and Media Production. Students in the program will complete a Senior Exhibition and internship opportunities are also part of the program. Missouri State University also lists computer animation as part of its Electronic Arts (EA) program. Students in this program will take many of the same classes as students in the BFA in Art program. In addition to these courses, students will complete a Senior Project in Electronic Arts. University of Illinois at Chicago (UIC) was formed in 1982 “by the consolidation of two U. of I. campuses: the Medical Center campus, which dates back to the 19th century and the comprehensive Chicago Circle campus which replaced, in 1965, the two-year undergraduate Navy Pier campus that opened in 1946 to educate returning veterans.” Today, with more than 31,600 students enrolled in 250 degree programs and 53 certificate programs across 15 colleges, UIC is the largest university in the Chicago area. The College of Architecture, Design, and the Arts (CADA) houses the School of Art & Art History, which offers BFA and MFA degrees in New Media Arts and Moving Image, and a dual MS in Computer Science/MFA in New Media. An Art Minor is also available and all programs offer heavy animation coursework. Sample courses include Computer Animation, Film, Computer Graphics, Virtual Reality, 3D Space: Modeling, New Media Arts, Motion Graphics, 3D Space: Animation, Drawing, Interactive 3D, and Human-Computer Interaction. The College of Applied Health Sciences’ Department of Biomedical and Health Information Sciences (BHIS) offers another option for students that may be interested in a career that fuses science, medicine, and animation. The MS in Biomedical Visualization (BVIS) offers animation electives such as Interactive 3D, Modeling, Animation I &II, Illustration Techniques, Medical Legal Visualization, and Graphic Design. BVIS is the largest and second oldest of four accredited programs of its kind in North America. Graduates of the BVIS program become highly skilled science visualization specialists in medical illustration, animation, interactive media, gaming, haptics, and virtual and augmented reality, working on the frontiers of discovery. Founded in 1897 as Central College, Huntington University (HU) serves around 1,355 students enrolled in more than 70 bachelor’s, master’s, and doctoral programs through more than a dozen departments. The Department of Digital Media Arts (DMA) offers four bachelor’s degree options: Animation, Broadcasting, Film Production, and Film Studies. The Department is located in a “state-of-the-art facility,” known as the Martin Center for Digital Media Arts, which consists of labs and studios outfitted with “top-of-the-line equipment.” The Center includes open access to computer, traditional, and stop motion labs, a green screen, editing labs, a sound stage, a Foley pit, and a screening theater. Students will work with professional workstations, VR equipment, 3D printing technology, and industry standard software. Other program highlights include the opportunity for students to showcase their animated films in festivals around the world, the opportunity to work on projects for businesses and nonprofits, and the world on a variety of animation-related trips over J-term and Spring Break. Note: The Animation program is also offered at Huntington University's Arizona Center for Digital Arts (HUAZ) in Peoria, Arizona. The program launched at the location in 2017. Founded in 1910 as a teacher-training school, Kent State University serves more than 38,000 students enrolled in an eight-campus system. The school offers more than 300 degrees through dozens of colleges and schools. The schools Stark campus (the largest in the Kent State system), houses the Computer Design, Animation & Game Design Program. Here students can earn a BS in Engineering Technology with a Computer Design, Animation & Game Design Concentration. Course highlights for the 120 credit hour program include Animation Theory, Character Animation, Animation Production and VFX, Interactive Game Design, Environmental Game Design, Engineering Drawing, Graphics Design Technology, Computer-Aided Design, Project Management in Engineering and Technology, Responsive Web Design, and Technical Computing. Students will complete an animation project and they will have the opportunity to complete an internship. Graduates of the program are prepared for positions in modeling and technical illustration, animation and multimedia development, virtual reality production, entertainment, film production and gaming, and technical illustration to name a few. 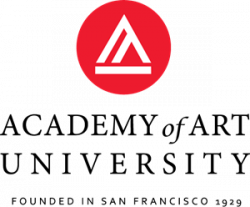 Graduates are working at companies such as Walt Disney, Gaslight Press (adventure gaming), EIS Creative Media, Diebold and Tarulli Video Productions.